PLESK_ERROR: Error: Unable to install the app because its installation requirements are not met. Contact your hosting provider to resolve this problem. 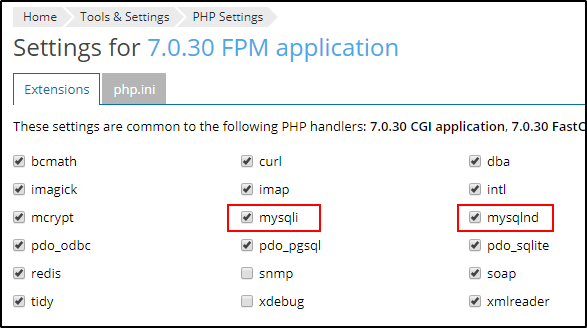 PHP handler selected for the domain does not have mysql or mysqlnd extension is disabled. Note: If those extensions are missing, install them as described in the article. Re-initiate the installation of the application.